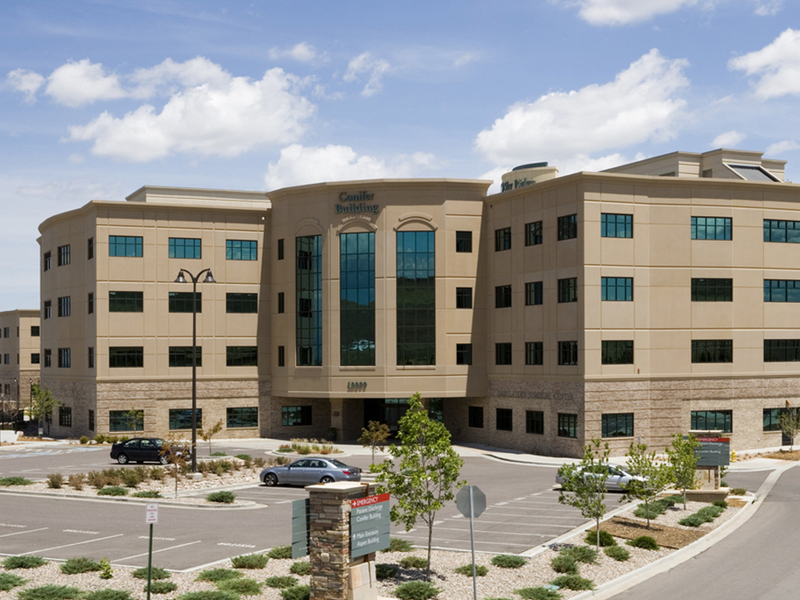 Calcon helped to create the impressive Sky Ridge Medical Campus in Lone Tree, CO. This massive project included three four-story medical office buildings, a cancer center, a pediatric emergency department and imaging center, a gastroenterology and endoscopy suite, a tenant buildout for a new imaging suite, a reproductive center, a new four-level parking garage with spaces for 1,000 vehicles, an east surface parking lot with 120 stalls and a detention pond. Architect: Davis Partnership Architects, P.C.